John Scott was asked to design a retreat chapel for this site in 1958. On presenting his proposal to the society of Mary, the response was “it’s a gazebo”. However, after numerous words of praise for the design from a number of renowned architects, the proposal was agreed upon, and work on site began shortly afterwards. The Chapel commemorates the martyrdom of the St. Peter Chanel on the French Polynesian Island of Futuna, on 28 April, 1841. Futuna Chapel – a retreat centre – needed to be a place for silence and inner renewal. 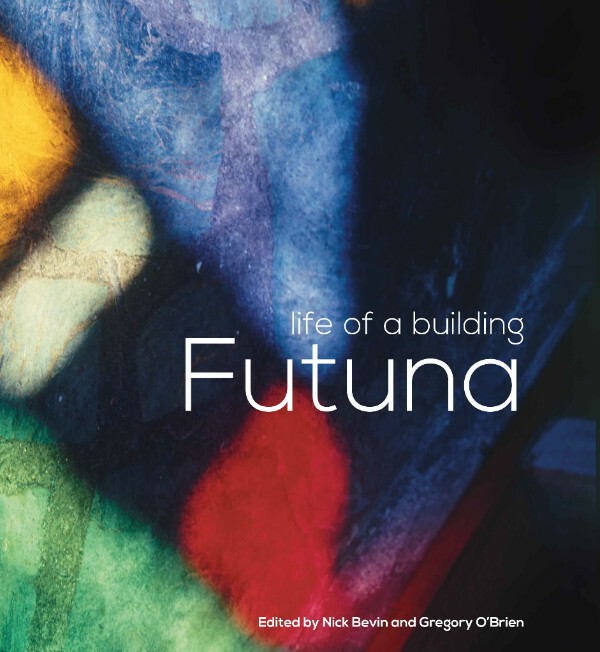 Futuna Chapel is a brilliant essay in geometry, the use of materials and the relation of old to new. The plan is square, the roof ridge is a Greek cross connecting the central point with the middle of each side. The roofs between the arms of the cross form diagonal hips and valleys. All materials are treated as naturally as possible. Futuna Chapel is a modernist building. It holds the geometrical and formal influences of the modern movement, but Scott was also intuitively sensitive to its place and context. The use of coloured glass by artist Jim Allen raises the building to one of great beauty when coloured light filters across the sacramental dais. The building also gains from Scott’s Maori heritage. With its large centre pole, its sharply sloping eaves, and its modest, almost deferential entrance, the building has its antecedents on the marae and in Maori meeting houses. Its use as a place of contemplation, and the manner in which an appropriate atmosphere is achieved, further reflect a spiritual dimension influenced by the marae. The Chapel was opened on 19 March 1961 . The building was the recipient of the inaugural 25 Year Award from the New Zealand Institute of Architects.